In this article, we will create an Android application which will display latitude and longitude of the current location in a text view and corresponding location in the Google Map. The current location will be retrieved using GPS and LocationManager API of the Android. 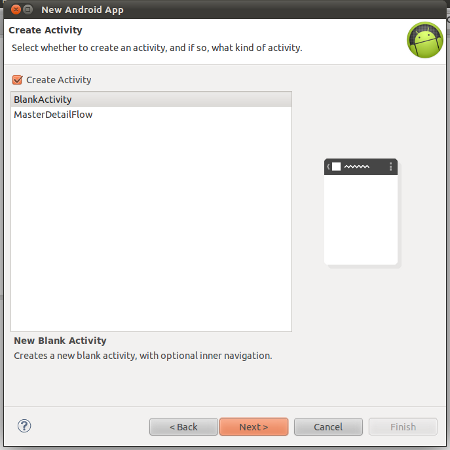 This application is developed in Eclipse ( 4.2.0) with ADT plugin ( 20.0.3 ) and Android SDK ( R20.0.3 ). 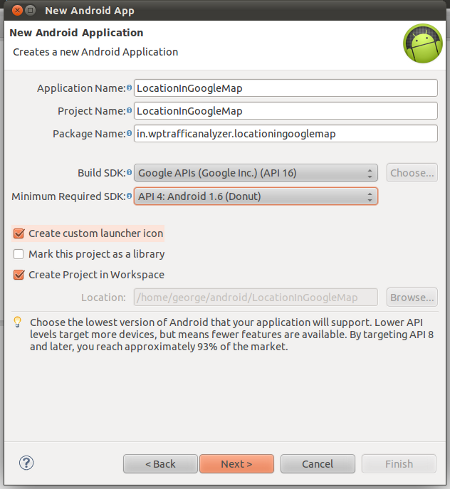 Update : A upgraded version of this application ( using Google maps Android API V2 ) is discussed in the article titled “Showing current location in Google Maps using API V2 with SupportMapFragment” . 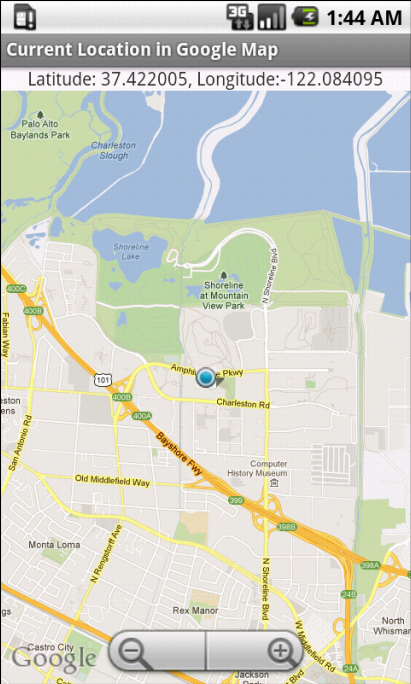 Google’s Map Key for the Android application will be available here. 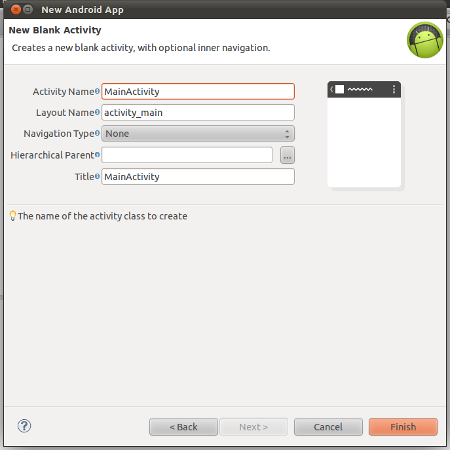 The map key obtained has to be entered as the value of the attribute android:apiKey in the layout file res/layout/activity_main. this is amazing think that any person giving free of cost facilities for programmer. all the developers should give many-2 thanks to Mr. George. i want to show the information of a location at given latitude and longitude in a view (can be a rectangle or circle) using overlay …….can u please help me out..thanks in adv. Please go through the given below link which may be useful for you. I tested ur code on my device. Its not returning lat&long at first time switch on device. when i went to disable/enable wifi button.. and checked ur sample application. it returns lat&long correctly.. 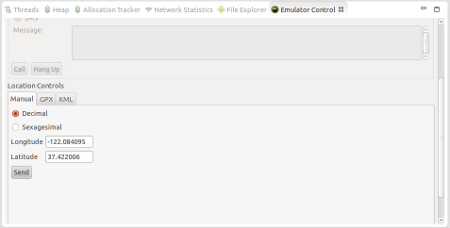 I checked with google android sample code.. This also works as like your code. it returns lat&long only after disable/enable wife. Note:- This happens only if i restart the device. please provide a solution to get lat&long. when i launch app after restart. 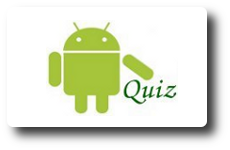 I am in a very difficult situation of how to get google directions in my android app. I dont want to show it inside google map but in my map. As I have searched there are no api’s for directions. So please help. im using your code to learn how to use google api. However i keep getting errors to do with java.security.messagedigest??? Can u please help me how to overlay the google map using the gps and to tag the photo and video for any location in android. i real enjoy your nice tutorial. 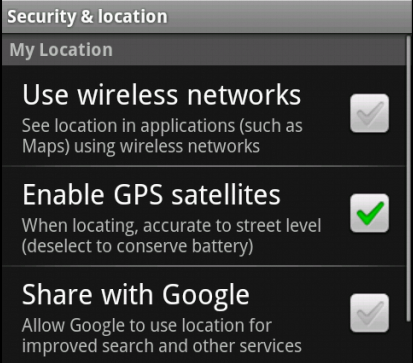 can u plz give me the android source code for wifi strenght detection…. Nice post as I was looking something on same line. But I need to send the same information back to a server on which it should show the current location on the Google Map. Any pointer to do the same. hey,i want to create gps under expandable list view,can you help me regarding this?i tried but not working properly.describe me. Thinks a lot with this good tutorial but my problem is this error “r cannot be solved to a variable” anyone please help.